If you’re looking for an experienced and compassionate dentist in the Santa Monica, California area, look no further than Brightleaf Dental. Led by Dr. Nazila Satvat, this health-focused practice is attracting countless residents and visitors thanks to our patient-centered philosophy of care as well as the team’s comprehensive, technologically advanced scope of services. 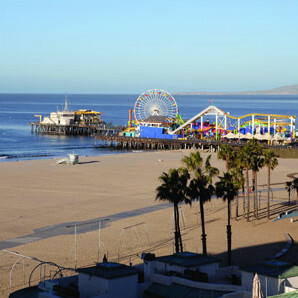 Positioned on the western edge of Los Angeles, Santa Monica is an exciting and convenient destination. There’s a lively art scene here, with an ever-changing calendar of events for kids and adults alike. Santa Monica is also home to a variety of culinary delights and world-famous restaurants. It’s an active city, with ample sunshine and a high regard for fitness. The nightlife is also quite diverse, with something for everyone. If you’d like to learn more about Santa Monica’s unique draws and the benefits offered by Dr. Nazila Satvat, please contact Brightleaf Dental with any questions or to arrange your consultation.